It’s shocking that in 2011, so many small businesses and franchisees are still without a proper marketing website to help boost lead generation, sales, and if nothing else just to get on the radar of would-be customers. Blaming the poor economy is a tired excuse for why your business is suffering. 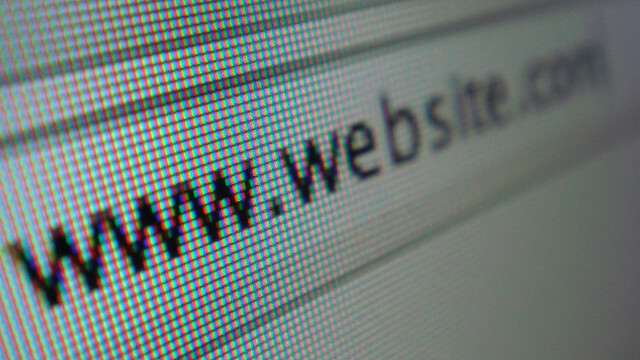 Stop worrying about things you can’t control, and start focusing on the things you can…like having a real website! Take a look at your social media presence, and research your franchisees’ Facebook, LinkedIn, and Twitter profiles – surprised to see how much activity there is? Now, look closer to see if there’s an underlying strategy to convert those discussions in social media into leads and ultimately sales. Chances are this is where the ball is dropped. That’s where a website comes into play – all of that great momentum can be channeled to a controlled website optimized to convert traffic in paying customers. With a website that is designed to have frequent content updates, you can take control of the messaging, and have a strong positive influence on your search engine rankings (SEO). Social media is the great equalizer allowing customers to join the conversation without barriers to entry. But owning the control of your brand and messaging through having a website is still vital. Collecting visitors’ emails and other information through your website opens an amazing opportunity to maintain communication with potential and existing customers through email marketing, which can have a strong impact on customer retention. It’s also a great way to disperse new promotions to an audience who has already volunteered to stay updated about news and happenings related to your franchise. In today’s fragmented social media and Internet marketing arena, it’s very easy to become completely disorganized and lose control of your lead conversion funnel – not to mention convoluting the experience for potential customers looking to purchase your products or services, or just learn more. The solution is to have a website that you can ALWAYS point people to, regardless of the communication channel (traditional advertising, banner ads, PPC, social media, etc.). 5. Generate Leads and Sell! Most importantly, you need to have a SALES channel online that is the hub where you’re looking to convert traffic into leads, leads into customers, and customer into evangelists. Social media is an excellent vehicle to connect with people, build personal relationships, improve branding, and a host of other benefits, but it’s pretty tough to convert those warm fuzzy discussions into sales. With a website, you can have a prominent sales call to action and an easy way to collect customer information, and you can constantly work towards increasing your conversion rates. Do you just have basic template pages, or worse listings, for your franchisees, and are now reconsidering doing it the right way? Email me for a personal demo to see how easy it is to make a change to having search engine optimized, lead converting, social media integrated websites for your franchisees. Or, if you’re more of a do-it-yourself guy or gal, click the big “Try it Free” button at the top and you can dive into a free trial.